Luke’s band concert was broadcast live on the internet last Saturday evening (April 13, 2013), but many of us had trouble connecting. Here are links to three video clips of concert excerpts that have been posted on YouTube. 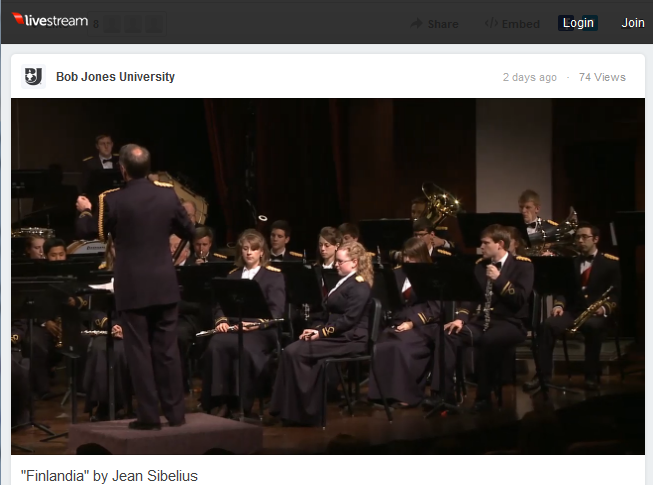 The BJU Symphonic Wind Band is under the direction of Dr. Dan Turner. By the way, Luke is seated far right (with trumpet) in the screenshot above.